Get the results that you want from Acrylics, and together with Peggy Stanton and other artists, get inspired to do your best work ever! 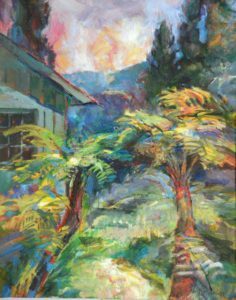 Margaret “Peggy” Stanton leads an ongoing series of Acrylic Painting Workshops for artists of all levels. Each three hour class, is a hands on painting session where participants learn to approach their painting process with a new awareness and understanding of color dynamics and composition. Begin your first session with a 16″x 20″ canvas! Margaret helps artists to heighten and accentuate their own unique vision with bold colors, lines and shapes. With important tips on Acrylic Paints and Mediums, artists create a painting on canvas using a more immediate and intuitive process. She guides artist on “painterly” ways to put on the finishing stokes. Stanton also offers individual instruction for artists during each session. 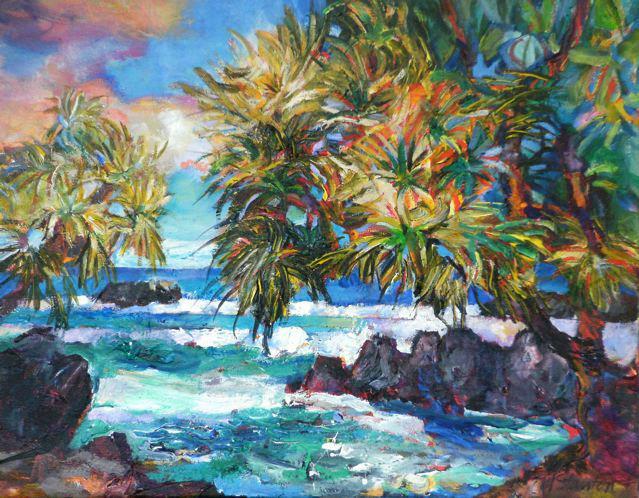 “Painting with Peggy” Acrylic Painting Class will be held on Monday, April 16 from Noon – 3:00pm at Volcano Art Center’s Niaulani Campus. Cost for each session is $20/$15 for VAC Members. Please see the materials list and detailed class descriptions below.